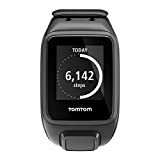 Get a great deal on the top selling TomTom SmartWatches available today. Capture every active minute of your day. Sprints, strolls, stairs, steps. Every active minute counts. Tracking your moves all day, it all adds up to time, distance and calories burned. 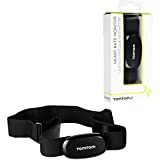 Designed to pair with TomTom Multi-Sport and Runner GPS Watches, as well as Bluetooth smart-ready devices, the TomTom BT Heart Rate monitor accurately measures your heart rate--so you can be better equipped to find your exercise sweet spot. Through precisely noting your maximum heart rate before you hit the wall, you'll be better equipped to push your personal exercise limits the next time you train. 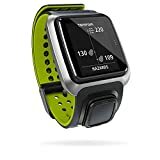 Designed to wirelessly stream music to Bluetooth earbuds as you run, bike, hike, swim, or even train indoors, the TomTom Spark Music Plus Cardio GPS Watch is a multi-sport/activity tracker watch with 3GB (approximately 500 songs) of built-in storage for loading all your favorite workout tunes. This watch is compatible with both MP3 and AAC (what iTunes uses) files, meaning it'll load music from both Windows Media Player and iTunes, as well as many other popular music libraries on both Mac and PC. Its Bluetooth Smart sensor wirelessly streams music to Bluetooth-equipped earbuds with A2DP and AVRC profiles. Check your earbuds' specifications to ensure compatibility (Bluetooth earbuds sold separately). The black and white LED screen offers an easy-to-read display in both bright outdoor environments and indoor gyms with dim lighting. An intuitive left/right button interface effortlessly toggles through the watch's different displays and workout screen menus. 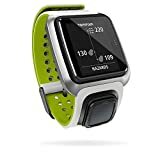 Its built-in heart rate monitor, GPS tracking, and motion sensor records heart rate, speed, pace, distance, calories burned, and workout duration when you're cycling on twisty roads, running along your favorite trails, cardio training indoors on a treadmill or stationary bike, as well as swimming laps in the pool (it's rated at 5-ATM water-resistance). Besides monitoring important exercise statistics while you work out, this watch acts as a 24/7 activity tracker that monitors your steps taken every day, active minutes, calories burned, and sleep schedule. 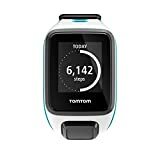 It also functions as a training watch for pushing your limits, offering Race, Goals, Zone, Laps, and Interval modes for competitive use. Additionally, it comes bundled with a USB charging/data transfer cable and user guide. 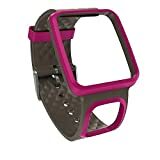 Please note that it comes in two strap sizes, with the recommended wrist size for each respective strap noted in the dimensions specs on the left side of the product display page.